Last year we did a huge competition with Dirt Magazine for a Morzine mountain bike holiday of a lifetime. The competition includes a trip for 2 people to stay at L’Aubergade with lift pass, multipass and bike hire with The Woods. Ed Watkins was the lucky winner bringing James another keen Mountain Biker along for the ride! The guys will be riding the whole Portes du Soleil area on fresh bikes while soaking up the amazing Morzine weather! 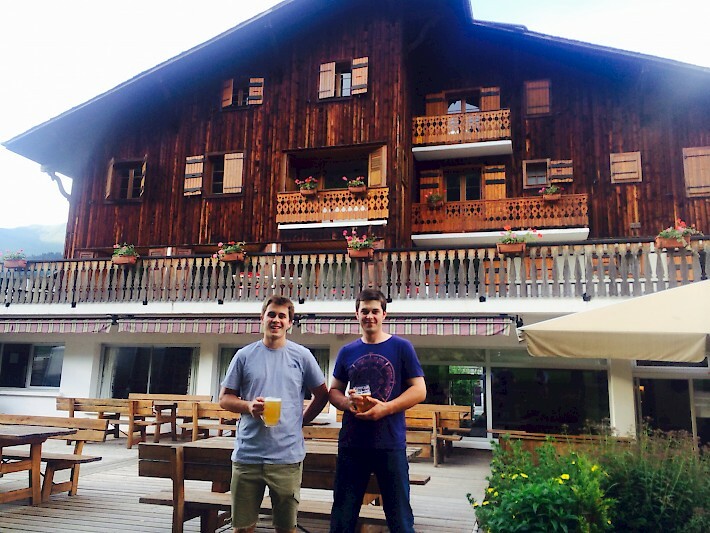 Here are a few photo’s of Ed & James’s Morzine holiday of a lifetime and a few words from the guys! 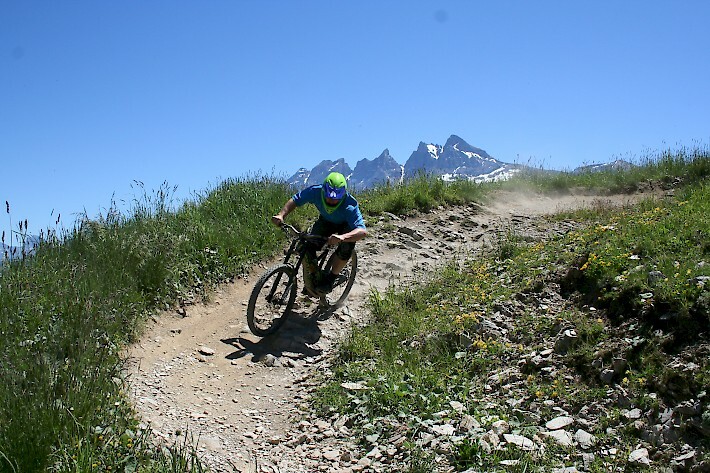 Ed – “Way back in 2014 I entered a competition on the Dirt Mountain Bike magazine website to win a weeks stay at the Hotel l’Aubergade in Morzine, and didn’t think I had any chance of winning, yet here I am, writing this in the hotel bar after an amazing barbeque half way through my stay. As well as half board accommodation at the l’Aubergade, the prize included airport transfers, lift pass and bike hire for two people, so I’ve brought my brother James. We arrived at the hotel on Saturday evening and arrived to a mouth-watering three-course dinner. Sunday morning we collected the Devinci Wilsons from The Woods Morzine and seeing as we’ve both been to Morzine before, we had a pretty good idea where to ride so heading straight to the lifts. In the first few days we’ve sessioned the classic trails in Morzine, Les Gets and the Chatel bike park, and today crossed over the border to Switzerland to ride the Grande Conche and Les Crosets. Here at L’Aubergade we love seeing that the boys are having an amazing time in the hotel! It certainly looks like they are having an amazing time from the smiles on their face having some well earned beers on L’Aubergade’s sun terrace!